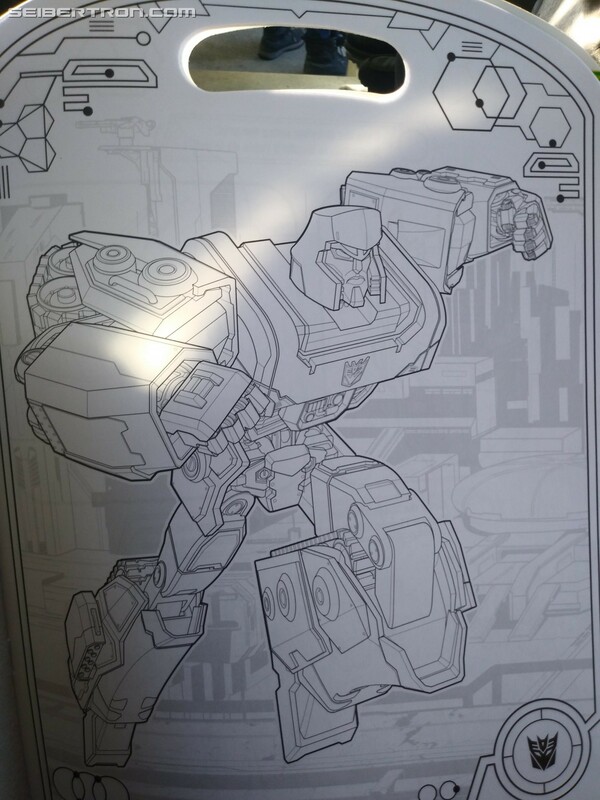 Fans love Emiliano Santalucia's Transformers designs which Hasbro dubbed Evergreen. 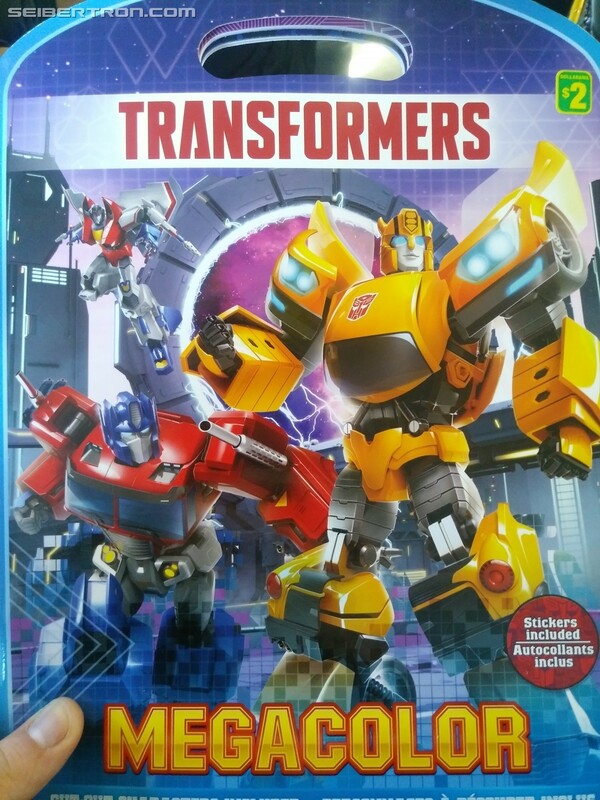 As the name suggests, these are the standard designs we will constantly see for our favourite Autobots and Decepitons on many licensed. I wanted to share one such product now since to date it features the greatest amount of said designs. 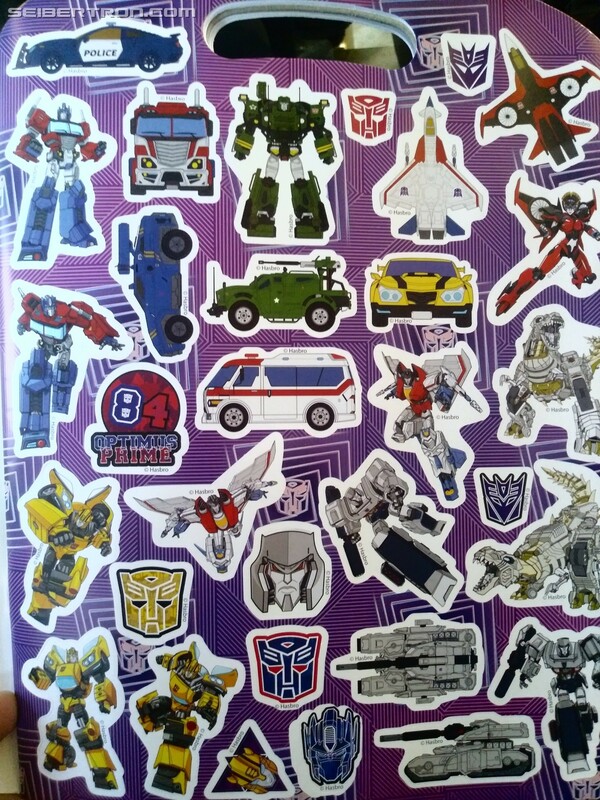 This activity book, found in Canada, contains physical stickers of these designs, like the previously seen Ratchet and Hound images. 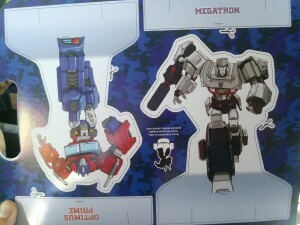 There are also cutouts to make small standees along with colouring pages showing these designs in the best detail yet. 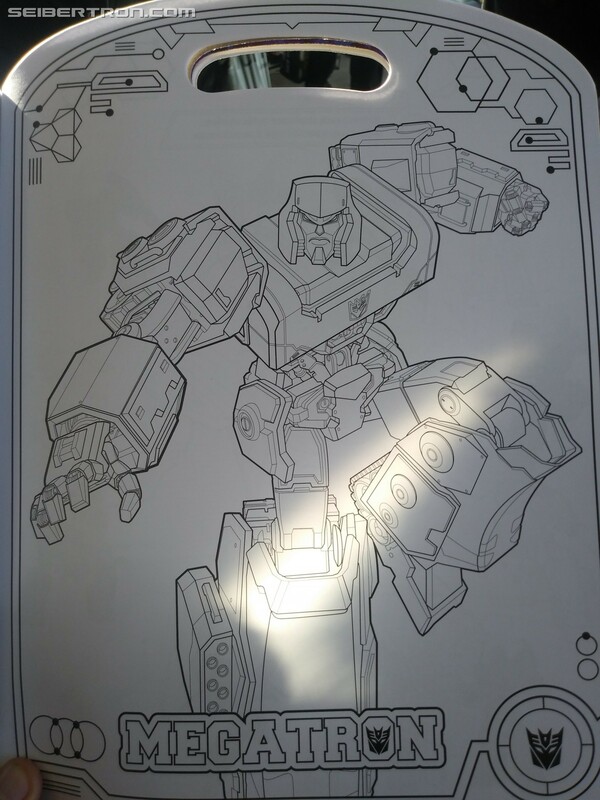 The rest of the book contains various activities. Enjoy the photos and designs! 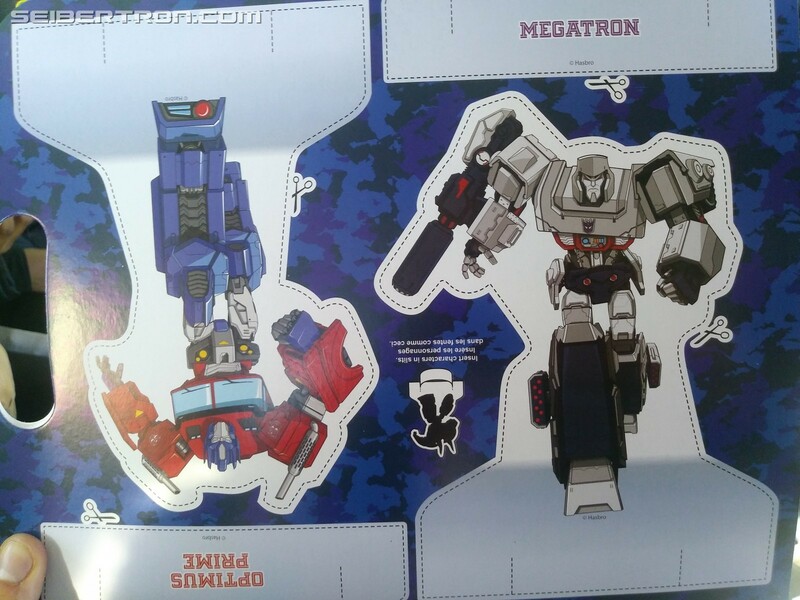 My god, it took me a good 15 minutes to figure out which of those Prime heads was different. That’s cruelly subtle. 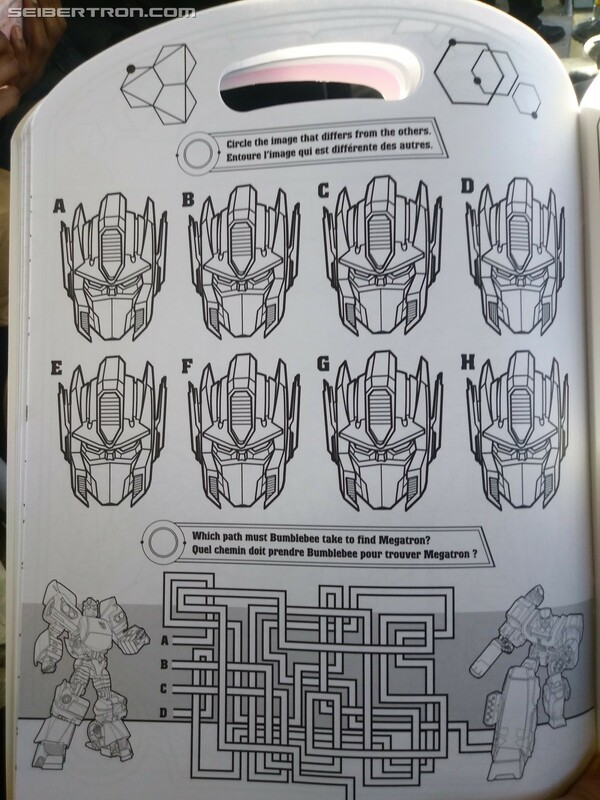 Autobot Roadburn wrote: My god, it took me a good 15 minutes to figure out which of those Prime heads was different. That’s cruelly subtle. 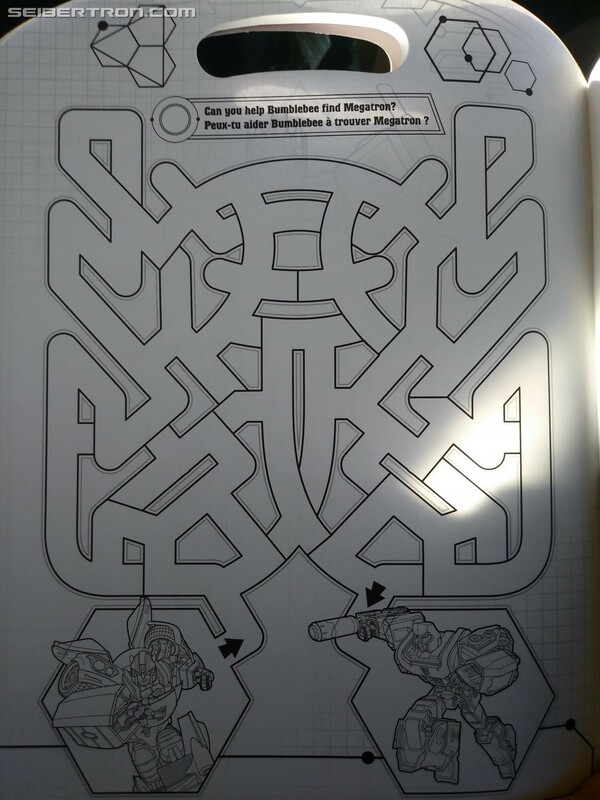 Oh man, its crazy hard ( especially for a kid's book!!!) But there is indeed a difference and its not just a missing line. I got the answer! I know it's tricky, but no need to tilt your head sideways. JelZe GoldRabbit wrote: I got the answer! I know it's tricky, but no need to tilt your head sideways.